Mother’s day comes arrives with great pomp every year, with discounts at restaurants and reduced prices at stores, that help us compensate for the neglectful children we have been all year around. The sentiment though remains untarnished. 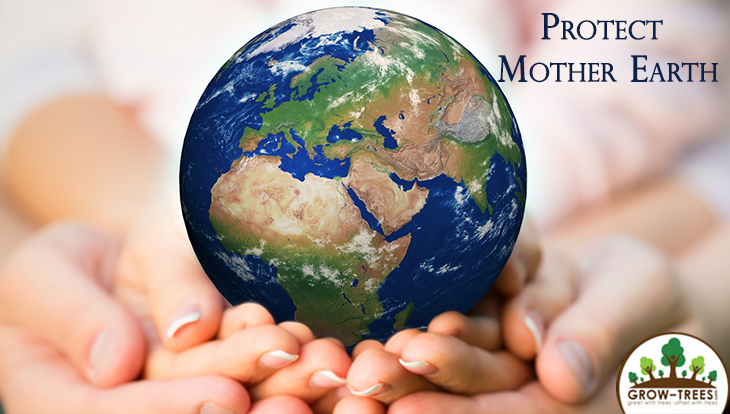 Celebrating our mothers for the selfless nurturers that they are is a worthy cause. However, the concept of motherhood endures beyond the idea of person or figure and is actually a symbol of unconditional love, tireless support and a constant nourishment to the body and mind. 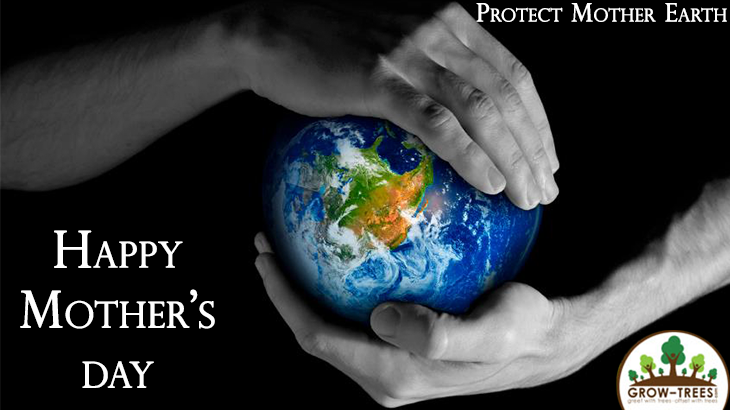 Our planet and home-Earth often bears the title of “mother” for this very reason. It is unnecessary to list the abundant resources that are accessible to us thanks to the natural life systems in place. Nature is in a constant state of regeneration and the air, water and flora existing around us constantly renew themselves even without human intervention. Over centuries of exploitation and a mindless attitude towards nature and wildlife conservation, have rendered perfectly functional ecosystems broken and in need of global attention. Species of wild animals are dwindling due to loss of habitats and forests and jungles across the world are being razed to the ground to make way for human habitation and development. Much like we take the people who care for us most for granted, we have taken our planet for granted. If you intend on righting wrongs this year by presenting your mom with a gift or perhaps just the pleasure of your company, why not also spare some time to give back to mother Earth is some small way? Aiding a beach clean-up, resolving to reduce your use of plastic, conserving water and of course, planting a tree, are among the few things that can be done with little to no expense to one’s self. Of course, if you want to kill two birds with one stone, Grow-Trees.com offers a solution in the form of eTreeCertificates. You can gift your mother a tree through our website, and an eTreeCertificate will be delivered to her via email. With this small gesture, a rural community in India, our wildlife and the natural environment will be forever transformed. Wish your Mother with an eTreeCertificate or an eTreeCard through www.Grow-Trees.com! Happy Mother’s Day! Happy Greeting! Newsletters amazing, dandelion, dandelions, earth, environment, growtrees, Happy Mother's Day, instanaturelover, kanha, kanha national park, nature, naturelovers, pench tiger reserve, tree_enthusiast, tree_love, tree_perfection, tree_pictures, tree_shotz, treeframing, treehugger, treelove, treelover, treestagram, treetrunks, vodafone India. permalink.